In this article i will show you how to create a simple vertical menu with css3 animation. This is very useful who want to create a simple vertical menu with different manner using simple animation. This is something different and looking nice. 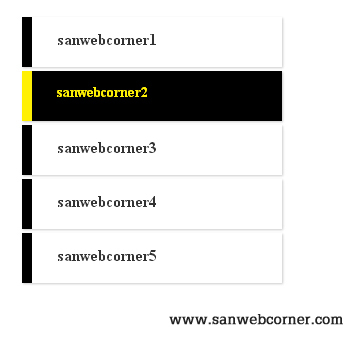 The above example shows to create simple vertical navigation with animation effect using css3. you can download code available above and you can customize the colors and demo also available.